An unseasonably warm February has brought with it some unwelcome creatures to our yard. 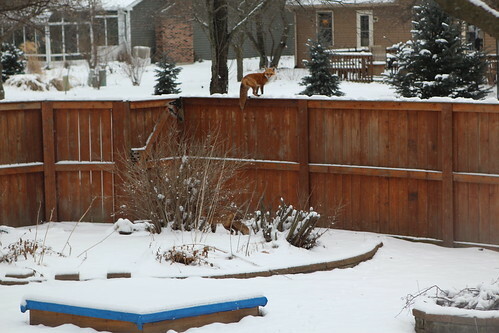 We weren't sure how these foxes got into our yard until Jen spotted one on top of the fence. I had my money on them burrowing under the fence. That was until Jen got a photo of one casually strolling on top of the fence. I have not studied the fox in great detail but I did not know they possessed the leaping power for such things. I thought they just ran around in the woods, made silly noises, and were hunted by Englishmen for sport. 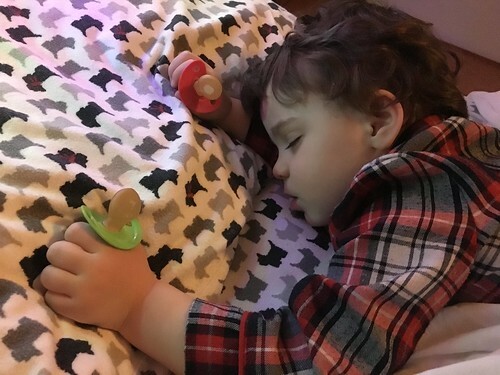 In two short nights Elliott went from being dependent on his mine (what he calls his pacifier) to sleeping completely without it. It meant a night or two of him holding them and whimpering himself to sleep but he finally broke himself of his habit. Martin was as cool as a cucumber while his brother whimpered, keeping with the tradition of neither of them giving a crap if the other is crying, whimpering, shrieking, or yelling in anger beside them. 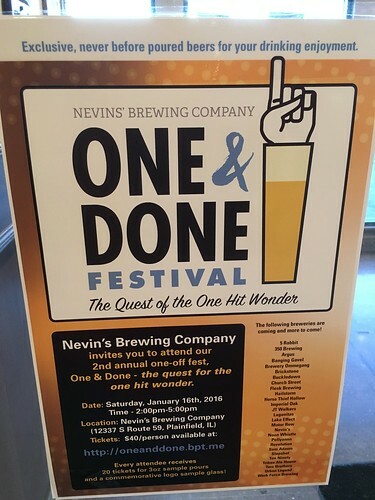 Daddy and Uncle Doug made their way to the second annual one off beer festival which they enjoyed a little too much. Luckily there were two free Uber rides getting us there and back. 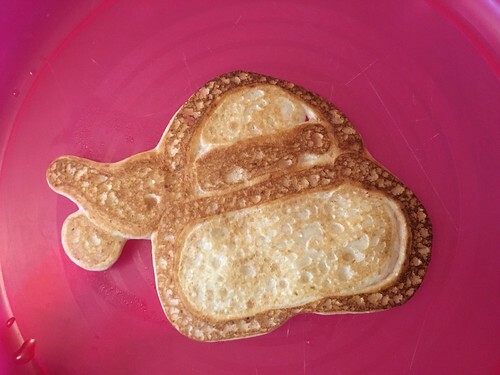 The following morning I poorly made some Teenage Mutant Ninja Turtle pancakes for the boys. I enjoy doing this for them for special occasions. However, after making them I usually make round pancakes with the remaining batter then freezing them. 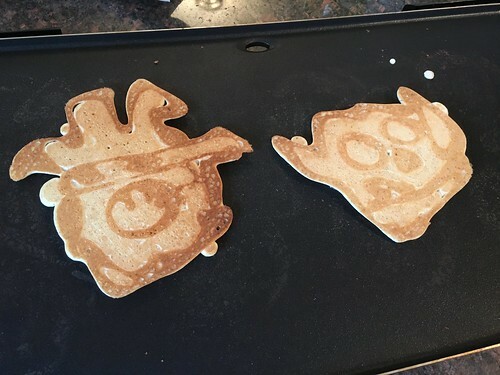 Then they whine when they get plain old round pancakes the rest of the time. This is because three-year-olds are among the most ungrateful forms of life in the entire universe. Before going to work they tore the cushions off one of our couches (one of their favorite pastimes) and built a TIE fighter. I don't know why I bothered mentioning that last part. 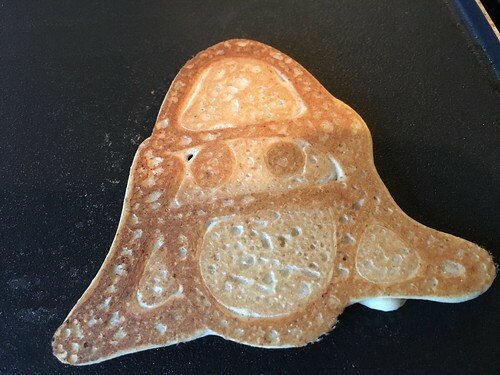 It's so obviously a TIE fighter that I could have just let this picture stand for itself. On my days off, on days when the boys are at school, Josie has enjoyed piano and guitar time. She's been a great audience but soon she will be at the stage the boys were at where she just wants to cover the strings with her hands and try to eat my pick. I'm enjoying this phase while it lasts. Martin was up late one night and the next morning he told me he had drawn this picture for me of the Emperor shooting Luke with Force lightning and Darth Vader throwing him into the pit. I'd be lying if I did not recognize this as one of my happiest parenting moments to date. To celebrate their new found love of the Teenage Mutant Ninja Turtles I made pepperoni and pickle pizza for the boys. It turned out to be much better than I'd even anticipated. Jen and I enjoyed it quite a bit as well. Evelyn missed two weeks of swim class. One week from smashing her chin open, the following week for getting her stitches out. 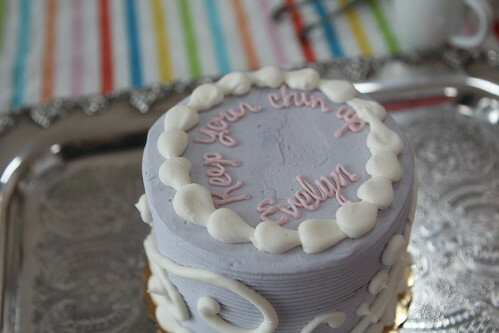 I got her a cake to celebrate her bravery and the boys had a nice tea party with her to celebrate her recovery. 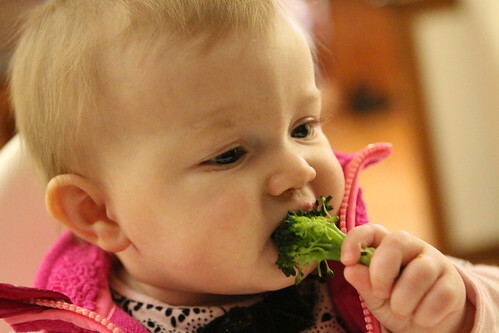 Among many other foods this month Josie had her first broccoli. It was a huge hit, much more so than I could have imagined. Martin and Elliott's obsession with the musical "Hamilton" has continued to grow. Here's a video of Martin singing the hook from "My Shot" on an endless loop. 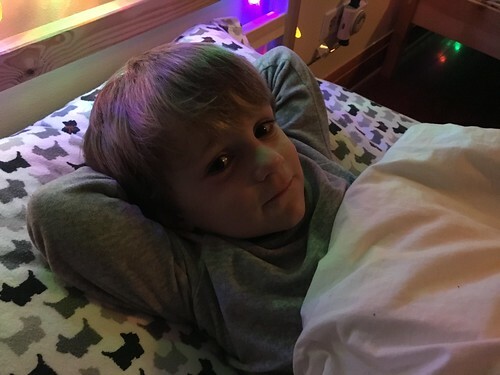 Elliott likes to sing what he calls the "Mean King Song" but is a little more shy about performing it. 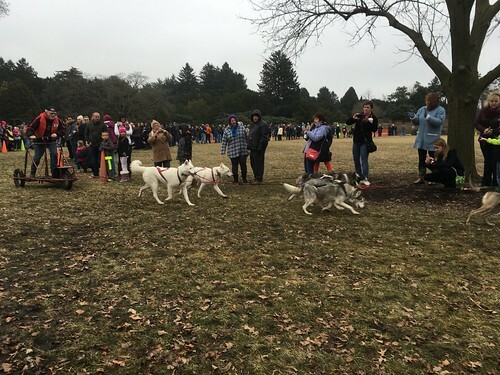 We lined up at the Arboretum to participate in Husky Heroes, an event where you get to meet, get knocked over by, and watch sled dogs. Elliott met them, Jen got knocked over by one, and I watched as I tried to balance four hot chocolates that I foolishly purchased and push the stroller over perilous terrain as Jen fed Josie. Some of the magic of the event was lost due to the fact that there was no snow on the ground. At this time last year we would have needed skis to get to the dogsled track. We had pizza for lunch which prompted Martin and Elliott to sing the Teenage Mutant Ninja Turtles theme song the entire time. Then we went to go see the train exhibit, an indoor, much warmer exhibit that was a bit more engrossing than the huskies given that it wasn't so dependent on the weather. Josephine snatched a piece of Martin's pizza crust at the cafeteria and chewed on it for the next hour. We're thinking she may have a strong fondness for garlic, olive oil, and tomato sauce, the staples of her ancestors. For school Elliott wanted to wear a watch and a red sweater so he could be like one of his personal heroes: Daniel Tiger. When he got home he took off his shoes, unzipped his sweater, and sang "It's a Beautiful Day in the Neighborhood." When we got to swim class there was a table covered in cupcakes. I told the boys we couldn't have them before we swam but maybe after if there were any left. Elliott said, "I sure hope there's some cupcakes when we're done." I did too because I didn't want to deal with a meltdown if there wasn't. When we came out there were no more cupcakes. Elliott said, "Oh well, maybe next time." Then a forty-year-old woman came out and saw the same scene and errupted in complaints. "No more cupcakes? Are you kidding me? I wanted a cupcake"
Someone consoled her by alerting her to the fact that there was, in fact, a whole cake there waiting to be cut. Then she grumbled, "Cake is not as good as cupcakes." This was followed by a pout which had a lot of energy put into it. The boys patiently waiting for their cake and ate it while sitting on the floor in the hallway. For the Super Bowl we dressed Josephine up in some Bears gear. Every so often it's fun to dress the kids up in sports gear when to consider how little Jen or I care about sports, particularly football. Josephine, on the other hand, is a huge fan of football, particularly the coaching style of Mike Ditka. 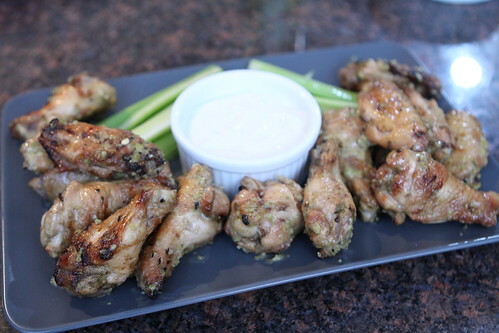 This year I made a Denver Green Chili sauce for some chicken wings. 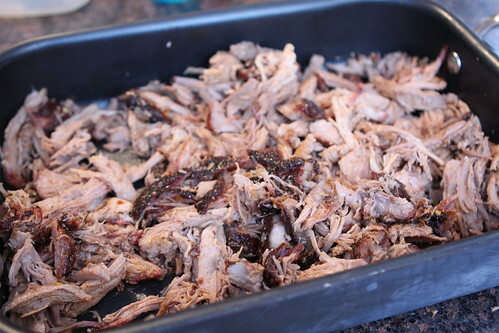 Doug made some Carolina barbecue. Today we headed off to the Field Museum, something we've been threatening to do for a year. It had free admission and was almost entirely empty. We actually got the first spot in the entire parking garage, the closest possible spot to the Field Museum. There was a lot of cool stuff at the Field Museum but nothing at the museum made them happier than when they dressed up like bats and played with fake corn. They created a narrative about being good bats and sharing corn with all the other children around. Martin called another child there "little fellow" while they leapt around the pueblo gathering up all the corn. Josephine also had the time of her life stacking corn up and preparing to grind it into flour. Josephine had a total of 6 minutes of nap time so by the end of the day she was totally spent. Martin and Elliott weren't far behind her and all three children slept the entire ride home leaving Jen and I to actually talk to each other for more than five minutes for the first time this year. The year that will be forever known as the Year of the Corn Bat.